Yep, Shonda Rhimes has just schooled all the feminists and liberals who have trashed Olivia Pope (Season 2, Episode 22 of Scandal, “White Hat’s Back On”). 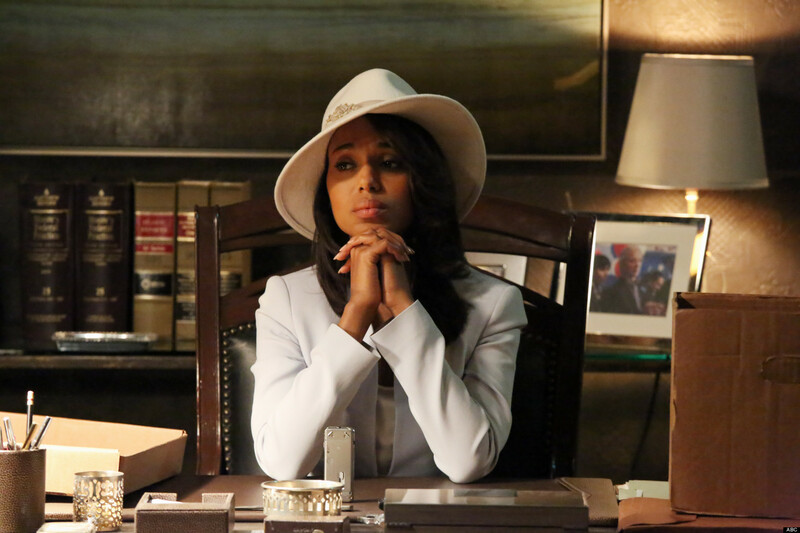 As I wrote previously, Olivia Pope is the quintessential tragic mulatto. In Episode 22, Fitz wants Olivia to “handle” their situation such that he can have it all, i.e., win a second presidential election (legitimately), divorce Mellie, and marry Olivia. Olivia’s campaign strategy is to legitimize the interracial, extramarital affair by making it appear as though the two long-term friends began a romance after the divorce. This move would get the Republican party to embrace African Americans. Mellie, who could potentially launch her own political career with Fitz’s aid, would appear churlish, racist, and anti-feminist if she does anything to stand in the way of Olivia’s legitimate relationship with the President – especially since the public would fall in love with the love story. Then, Olivia rejects the narrative she wrote and tells Fitz that, since she took her team over the moral cliff, and since Fitz could and should win the election on his own two feet, he should stay married to Mellie. So, in other words, she wears the white hat and stays with her tragic co-workers (i.e., her children) because they need her. Well, well, well. So, yes, there was some schooling, but in the end we’re still on the tragic carousel, and the not-so-sub subtext rings hollow. The show is a winner though because I’m still watching. Previous Post: What is Communication, Exactly? Higher Ed Rhinelander AKA The Wall Obama Presidential Elections That's Racist! National Politics Baton Rouge Women's Movement That's Silly! Comm Studies Books Body Politics Music Gratitudes Hillary Clinton How to The Quotidian Louisiana Travel Holidays My Home Rhinelander Geek Culture Trivia D&D Generation X Family New York City For Wordies Media Ecology Race George W. Bush Movies Sexual Politics Racism Threes TV Shows War Women in Pop Culture Great Quotes Aging Gen-Xer Teaching Tips Rhetorical Studies I have to Work? That's Sexist!